Coordinates all of the workers and materials involved in a solar installation, managing time and budgets, and translating between engineers, system designers, and installers in the field. A solar project manager maximizes efficiency in the implementation of detailed project plans, keeping track of goals, tasks, resources, schedules, costs, and contingencies. They are responsible for the quality of work, and for keeping a project on time and on budget. 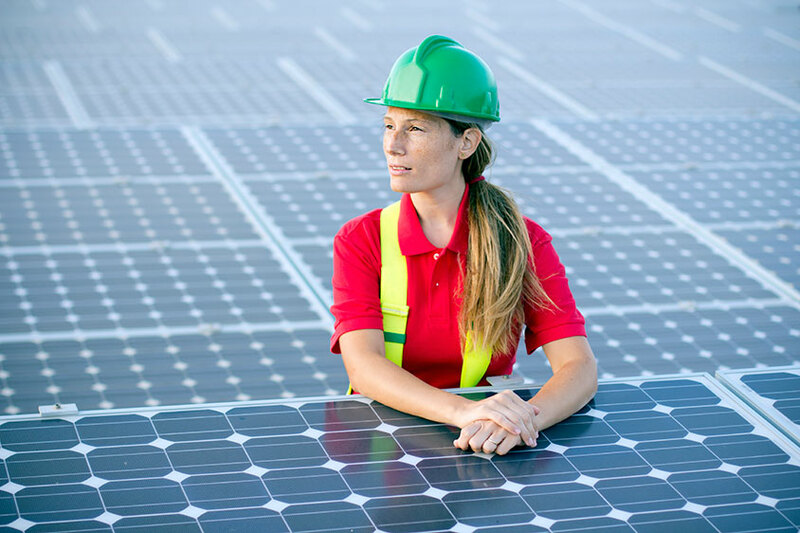 Solar installation managers identify opportunities to reduce costs and minimize risk; develop systems to manage safety and quality assurance on site; coordinate installers, technicians, vendors, and subcontractors; and monitor their work to ensure compliance with specifications, schedules, and budgets. They may also provide technical assistance to contractors, and report on progress to owners, project developers, and financial partners. A financial, business, or legal degree and additional solar training would facilitate this move. Additional logistics training and a management or business degree will facilitate this move. Typically requires additional licensure and solar, business, or construction management training. Solar project management is learned in the field and enhanced in the classroom. Installation managers do not need advanced degrees, but do need significant field experience. Candidates will benefit from additional training in systems design and construction management, combined with solar certification.